The single-player adventure packs in so many incredible moments that you'll be talking about it with friends for months, the multiplayer functionality is superb and rammed with content, and the whole game looks beyond anything you'll have seen before. Uncharted didn't quite make the grade as a classic, but Uncharted 2 should earn the series a place among the very best exclusives to hit the PlayStation. Naughty Dog set out with a very specific goal in mind, and in focusing intently on that goal, they blew right past it. Uncharted 2 is a sublime example of how to make a great action game, the result of fantastic execution on every aspect of the game's design and development. It's the best, most memorable game I've played in a long, long time. Really, you just wanted to know how good it is, and fortunately I can say that it's very, very good. It's easily one of the best games on the system, blending fantastic presentation and visuals with gameplay that is practically second to none. And then there's the stellar multiplayer which you'll probably be playing until Uncharted 3 ships. No, Uncharted 2 is not perfect, but it's closer than pretty much any other game out there these days. 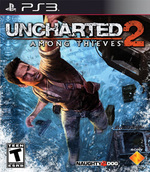 If you own a PlayStation 3, Uncharted 2: Among Thieves belongs in your collection, no questions asked. If you don't, know this -- there's no other game in its genre that even comes close to it on any other platform. Whether or not that makes Among Thieves the system-seller Sony's been looking for remains to be seen, but it's without a doubt among the best exclusive games found on any console this generation. 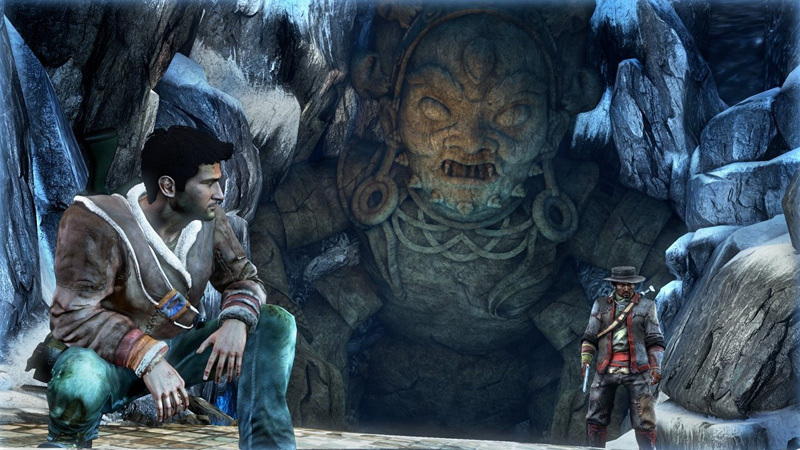 Uncharted 2 is a masterstroke of game creation. This is the killer app PlayStation 3 owners have been waiting for, and I’d even be saying this without the outstanding competitive and co-op multiplayer (see sidebar). Given the complexity of the character relationships, I urge players to play the original game before venturing into the sequel. Some of the jokes and references fall flat if you don’t have the knowledge of Nathan’s previous exploits. 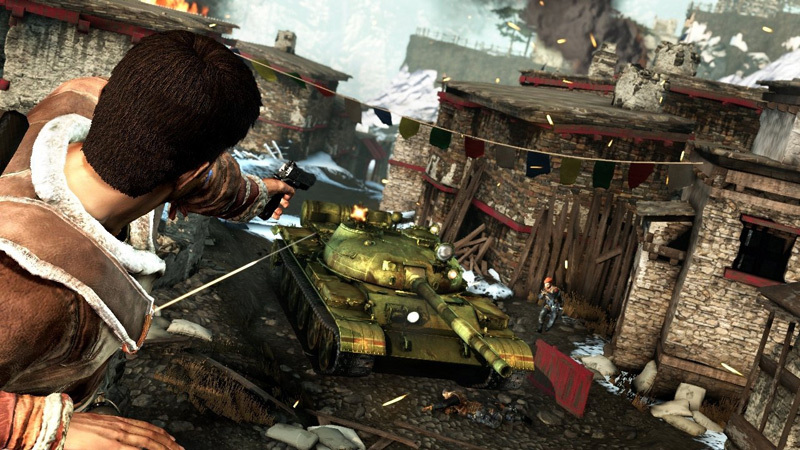 Uncharted 2: Among Thieves is a complete package. The perfectly paced campaign is pure joy from beginning to end, seamlessly combining top-notch shooting, smooth platforming, clever puzzles, and a playful story into one of the most engaging and satisfying adventures around. Competitive multiplayer is just as compelling, displaying the same fun gameplay elements from the main quest in a chaotic battle against other players. Whether or not the multiplayer sticks, however, is arguably a footnote, because at the core of Uncharted 2 is an action-adventure masterpiece whose minor flaws are washed away on a tide of rhythm and spectacle - one that would still be an essential experience even without the option to pull your friends off cliffs and play capture-the-heirloom. 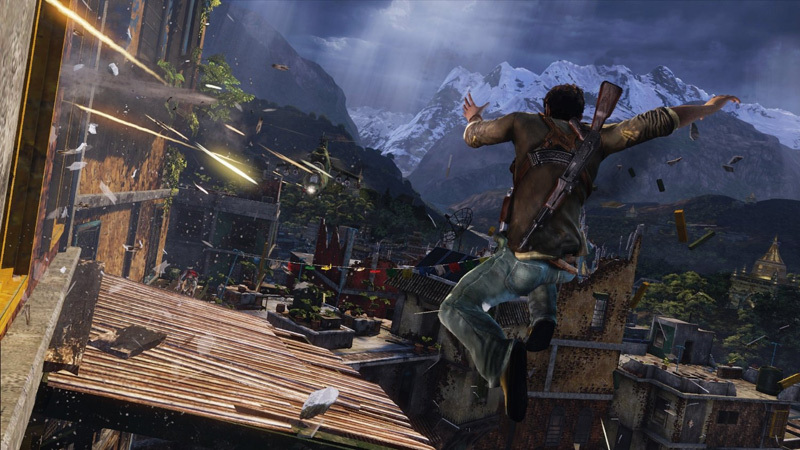 For over a dozen pulsating hours, Nathan Drake is among thieves, just as Naughty Dog was when it made the first game by ransacking surrounding genres. 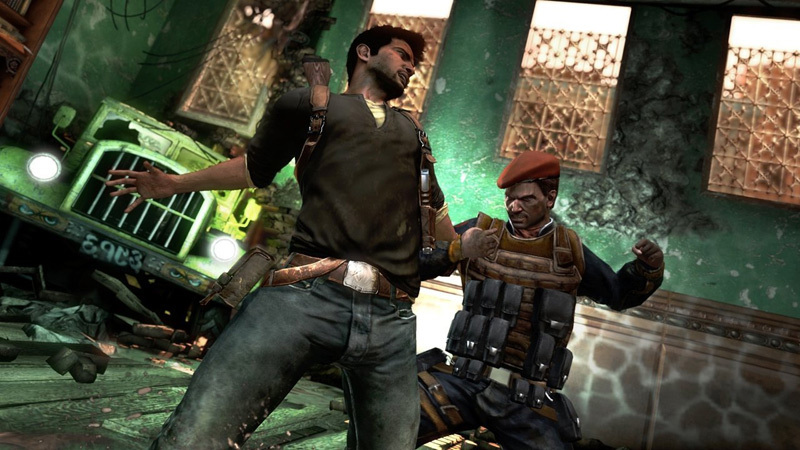 Uncharted 2: Among Thieves is one of those rare games that deserves a perfect score. Even if every second is not flawless, the game as a whole is so breathtakingly beautiful and exciting to play that we can forgive the few moments of frustration. Drake’s Fortune set the bar very high for this generation of console gaming, and now Among Thieves raises it even higher, widening our expectations for future titles. We haven’t played a game so well developed in ages. Uncharted 2 es un juego de corazón clásico que no reinventa el lenguaje pero sí que marca unos nuevos límites en su género. Es una obra de artesanía técnicamente impecable y hecha con cariño y entusiasmo, con un guión fenomenal lleno de escenas cómicas, frases hilarantes y momentos dramáticos. Un juego sin prácticamente minutos malos, uno de esos que te hacen vivir aventuras que luego podrás explicar a tus nietos. Si no tienes la PlayStation 3, cómpratela. Uncharted 2 es una montaña rusa in crescendo. Pero en vez de iniciarse con una subida como en toda montaña rusa, para después bajar sin descanso, Naughty Dog no nos permite el más mínimo descanso desde la primera fase. Estamos expectantes desde el mismo inicio del juego. Las cinemáticas, brillantemente realizadas con el motor gráfico del juego, ayudan a sentirse imbuido por un espectáculo lleno de lugares de ensueño, de peligros escondidos, de amigos que no lo son, y de enemigos que lo son más de lo que creemos. Estamos sin ningún género de dudas ante uno de los mejores videojuegos de la actual generación de videoconsolas, y del mayor exponente de un género tan tristemente abandonado como es el de la acción-aventura. El Reino de los Ladrones mejora notablemente el ya de por sí remarcable Uncharted original, y reedita sus virtudes –gráficos de infarto, historia genial, campaña apasionante- cultivándolas todavía más con añadidos sensacionales –multijugador, cooperativo, nuevos escenarios, combate pulido-. Le titre de Naughty Dog nous immerge dans une quête passionnante et sans temps mort, alternant les ambiances et les couleurs avec une réelle habileté. Parfois mal en point, boitillant, apeuré, oppressé, le héros d'Uncharted 2 passe outre les conventions du genre et se présente comme un homme plutôt qu'une machine ne portant pas les stigmates d'une telle aventure. Simplement anthologique. Quando me chegam jogos como Uncharted 2: Among Thieves às mãos, penso verdadeiramente no que de bom a indústria de videojogos tem. É como que um oásis dentro de tanta fraca qualidade. Uncharted 2: Among Thieves coloca novamente a fasquia da qualidade muito alta, sendo um dos melhores jogos deste ano. Para finalizar, e como promessa à Elena, que me pediu para lhe dar um valor entre 0 a 10, darei o que abaixo está inscrito. Vocês irão perceber. In sinstesi: Uncharted 2 non innova nulla, ma migliora in tutto. E lo fa in maniera ineccepibile. Che sia la nuova pietra miliare e il termine di paragone per il genere action adventure è fuori da ogni dubbio. Il perfetto connubio tra le modalità in singolo e multiplayer è qualcosa che farà scuola. Qualsiasi altra produzione a venire dovrà tenerne conto. Come detto in apertura, la formula perfetta non esiste, ma che diavolo...Naughty Dog sembra proprio intenzionata a scovarla. 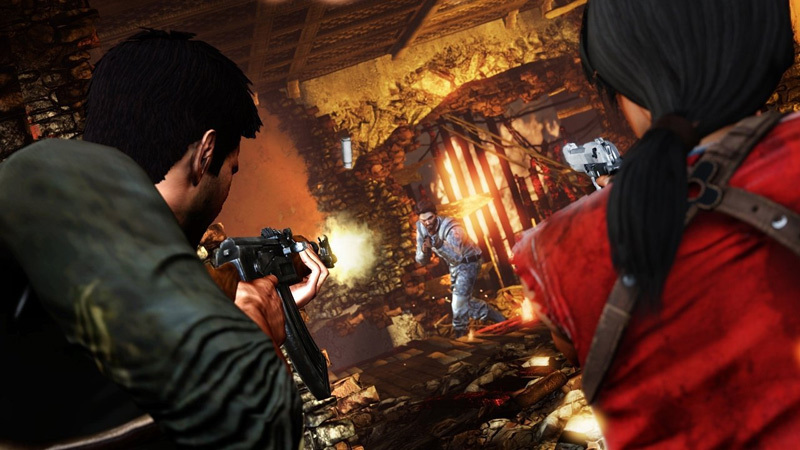 Uncharted 2: Among Thieves is een echte topgame. Met de basis gameplay van Uncharted, verbeterde vuistgevechten, stealth aanvallen en meer, heb je haast niet eens meer door dat je een lineaire game zit te spelen. Wanneer je vervolgens klaar bent met de singleplayer, heb je nog altijd de grote multiplayer en co-op modus in het spel, die voor meer dan genoeg uren plezier zorgen. Grafisch is deze titel misschien wel de beste tot nu toe, en de audio in de game is ook overweldigend goed.